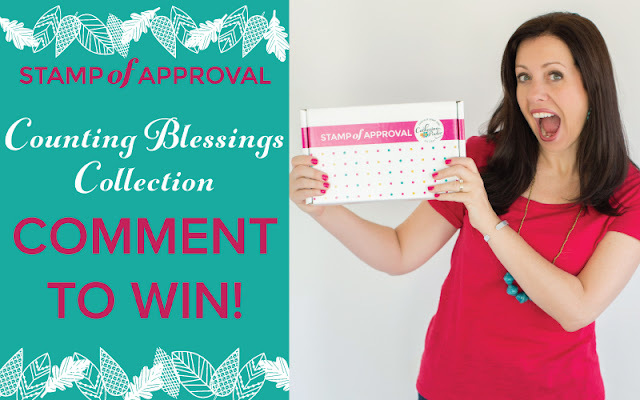 Harvest Moon Papiere: The Counting Blessings Collection Blog Hop! Hi! 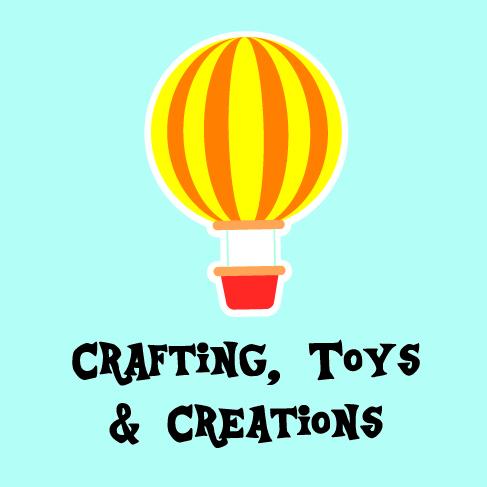 Welcome to the Counting Blessings Blog Hop! We have a ton of inspiration in store today, so make sure to hop around and check it all out! You should have arrived here from Ardyth's blog! This Collection is truly one of my favorites to date. I just love anything having to do with Autumn and this collection screams Fall. But.. one of the greatest things about this Collection is that even though everything is more Autumn themed, they can be used year round, too. Plenty of the sentiments and images will work any time of the year. Talk about awesomeness! To get on the wait list for your Collection, click here! My first card was created using the new Marching Leaves stencil. I wanted to keep this card as Autumn-ish (is that a word?!) as possible. I fussy cut the sentiment from the Autumn Blessings stamp set out once it was stamped. I created this card with a Spring color palette in mind! The sentiments from the Good Things stamp set are becoming my go-to set for everything I create. My final card pays homage to Autumn again. I just couldn't help it. If you take a closer look, you can see that the die cuts from the Fallen Leaves die are sparkly! Now it's time to comment to win! One winner will be chosen at random from each day's comments and announced on AUGUST 17th on Catherine’s blog. Good luck!!!! Next up on the hop is Deepti! I'll be back on Release Day with some more creations (and a video), so don't forget to head on back on August 16! All Stamp of Approval supplies are listed above and linked when available. Affiliate links used. Beautiful cards, thank you for sharing your talents. I LOVE the grateful card and the colors you chose. So pretty! I did get to here now - beautiful cards. I don't know what was going on the first few times I tried - sorry fir concern. Oh wow.. such fabulous cards.. the leaf stencil I so versatile! Awesome cards. Love the colors. This collection is going to be so versatile. Great cards! Great collection! Thanks for your inspiration! I can not wait to play! Amazing cards!!! Love them!!! Thank you for sharing! Lovely cards! I really adore the ombre effect you did on the first card. And I just love the leaves in this kit, so pretty!! Beautiful..I think everyone is enjoying the leaves..anxious to have them in my collection! Really loving those autumn leaves!! Your cards are just striking!! Awesome cards! I love your style! Your cards are lovely. I am loving the vibrant colors. I like the neon look iron the last card. I just love the fall colors you have used on your cards. Lots of inspiring ideas for this SOA collection. Thanks! This collection just screams Chrissie....(I just read your bio). Your love of Autumn shows on the cards you made. Isn't God a great artist? Thanks for sharing your inspiration. You are very creative. I am just loving all the leaves and fall aspects of this kit. Fabulous cards :). Love that you can use these stamps and dies for different seasons. Your cards are beautiful!! I am so ready for fall and your cards are making my day! These cards are so beautiful and definitely get me in the mood for Fall! Nicely done. Beautiful cards!!! I can't wait to play! Oops! I spelled autumn wrong. I love all the leaves in this collection. Your cards are beautiful. Beautiful cards! I think the first one is my favorite! Lovely cards! Especially love the orange yellow one with leaves stencil. Love them all great use of this new collection. The ideas just keep coming...I now know I NEED this collection...Thanks for the inspring ideas. Oh these are fun cards! Love your colors and patterns--can't wait to get this collection. 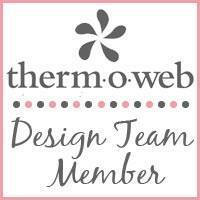 Thanks for sharing on this great blog hop!! I love your second card. It's so forgiving for those of us who are not colourers! I am really loving the flower stamps - and I'm not a flowery type of person!! Thanks for showing my so many different ways of using these items!! I love it! Looks like you've had fun with this collection so far. Great cards! These days on the blog hop are so exciting! Love how many different ways the stamps can be used. Gorgeous cards! Really like those leaves so pretty! Love your cards, so pretty. Love the color combinations. I love your trio of cards using the SOA I love the leaf stencil so much!! Hello, all three cards are beautiful especially the first one. Can't wait to see what else is in this box of goodies! Gorgeous cards! Love the colors you used and these sentiments are so pretty! Great job. 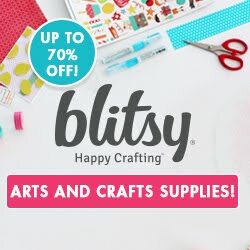 This kit is going to inspire me to create some beautiful cards! Very pretty array of cards! So lovely and elegant!! Oh wow! All your cards are so beautiful! I love the bright colors!!! Oh my word, that gorgeous blending on that first card- so pretty! Ooooh, I love the vibrant yellows and oranges you chose for the fall themed cards. Beautiful! Love love love the splattered look! Love the colors and blending! The colors you picked are gorgeous! The one card looks like it has light behind it! Love these!! Thanks for the inspiration!!! The yellow/orange leaves are stunning! Colors are brilliant! Love these cards. The flower card is my favorite. They are all great though. These colors are so Great! Love the spinging too! Great job using this collection! I am loving the pink and orange colors. If Autumn-ish isn't a word yet it is now!!! Love, Love, Love your 1st card... This is the best way (for me) to enjoy the season with out dealing with my allergies. Love the Marching Leaves stencil. The more examples I see from this collection, the more anxious am I to buy it. AWesome cards...love the different leaf images, dies and stencils. Ooooh such pretty ombre leaves on that first card. I am new to card making. I am excited to do my Thanksgiving cards and these have really gotten me in the mood. Love the cards. Thanks for sharing! Beautiful cards, so cheery and I'm loving that leaf stencil! Fabulous card designs and color choices. these are some great cards, the stenciled leaf one really grabbed my attention. I can see this new box is going to get a lot of use! Very nice cards! I love the golden thankful card--it made me think fall right away! Gorgeous cards! I love what you did with the flowers. Your cards are fantastic! Love the colors as well as your designs. Lots of inspiration, thanks! I'm in love!! All three of your cards are sooo beautiful!! I adore the colors you used and the die cut leafs! So cute! I really love the marching leaves stencil...your cards are beautiful...thanks for sharing! Chrissie, all of your cards are awesome! Loved them all! Liking orange/golden colors you used! Love the cards. I especially like the colors on the last card. They give such a beautiful contrast. Beautiful cards. I love your color choices they really remind me of fall. I'm not normally an orange fan, but your cards are quite lovely! I love the vibrancy of orange the way you've chosen to use it! Love your choice in colors. The sentiments in this kit are awesome...like the one on your second card!! So appropriate and encouraging for so many people! Great color combos, I am drawn to anything in the bright fall colors spectrum. Beautiful cards! Nice cards. I just can't wait to get my hands on these. Your colour choices are inspiring. Absolutely gorgeous! I love your bright orange card with the bright splatters! Awesome! Love how this collection works for all seasons...beautiful cards! I'm loving all the great cards! So excited for tomorrow! Love the final card. What a great way to use those dies. I love your first card! Makes me think of how close fall is. great job! Love how you used the dies!!!! Love the shading in the backgrounds. This SOA absolutely Rocks. I see so many uses for the stencil. I love how you used it to make the background in your card. Your yellow card is so striking. I love how it just pops. 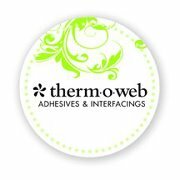 Fabulous mix of card designs, they really showcase the products in the kit wonderfully! Love the pink and orange flowers with the splashes of pink. Makes me happy! thanks for sharing. I am so glad these stamps don't just have to me used for the fall. They can be used for all seasons. I love your color choices and style! So beautiful! The colors and the leaves stencil are so beautiful and vibrant!!! I love all of the cards but the GRATEFUL Card is stunning! Love this collection!!!!!! Gorgeous cards! Beautiful colors, patterns, and over all layouts on them! 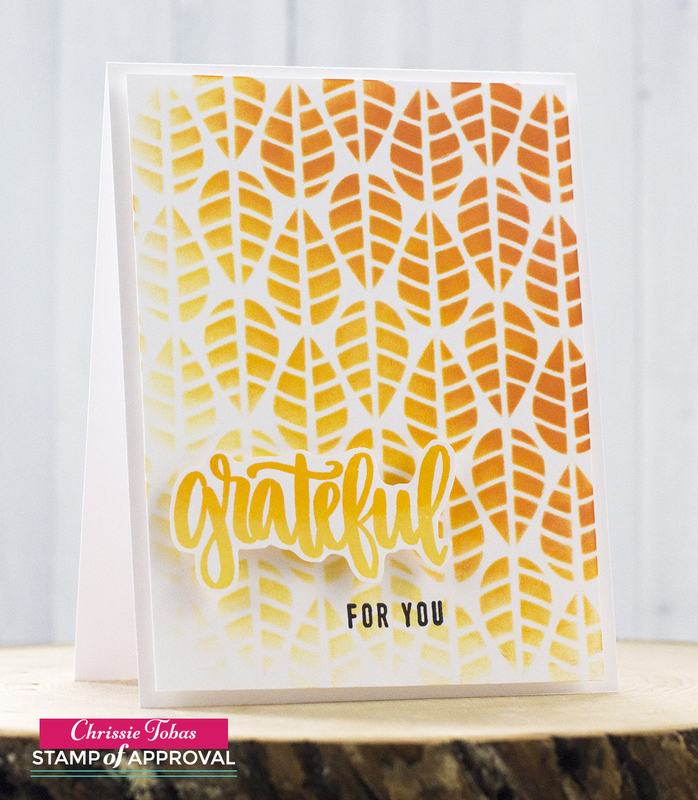 I LOVE each these cards you've shared today, but the leaf stenciled "grateful" card.....SWOON! You had me excited more for a minute, when I thought there was a 'grateful' die! I'm not a fan of fussy cutting! Love the stamp though! Love love love what you did in these cards. Love the stenciling and the colors you chose; love the flowers; love how you used the spotlight to make the thankful stand out. Waaay cool! Your cards are amazing. So crisp and love the different seasons represented. Can't wait to mine. Love the sketchy look on the big blooms! I like the colors of your awesome cards. I love your use of autumn colors! That leaf stencil is awesome. I just love the leaf stamp, great cards. Really cute cards! Awesome job on the colors. My granddaughters love the colors you use. OHHH! I love the Autumn cards sooo much! Both the first and third one make me think of the colors of leaves and everywhere;for autumn! Thank you for your creative talents. Thanks for sharing your cards. The flowers card is stunning. Gorgeous cards Chrissie! They are awesome! I'm head over heels for the fallen leaves dies. I Love your sparkle! Love all you beautiful cards you have done with this new collection. Would love a change to win. Please enter me in the drawing. Thank you so much. Also thank you for your great ideas. Love the card using the stencil, well I love them all, but that stencil is so versatile! Thanks for the great ideas. 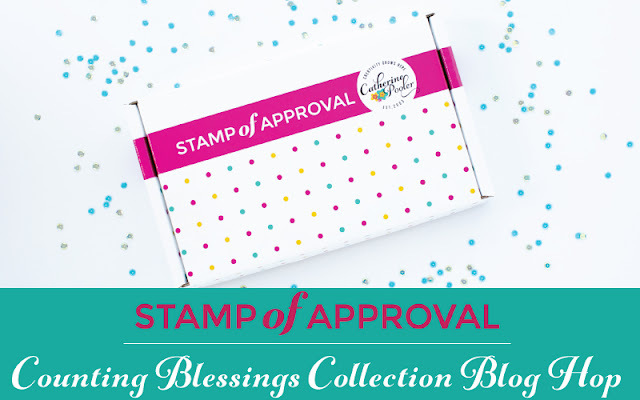 Love, love, love this collection and your cards!!! All three of the cards are lovely but the ombré on the first card is just gorgeous. What a wonderful collection of product! So versatile. Adorable each of your cards you made .Would be thrilled to try my hands at those with fun looking products..Thank you for sharing here.. 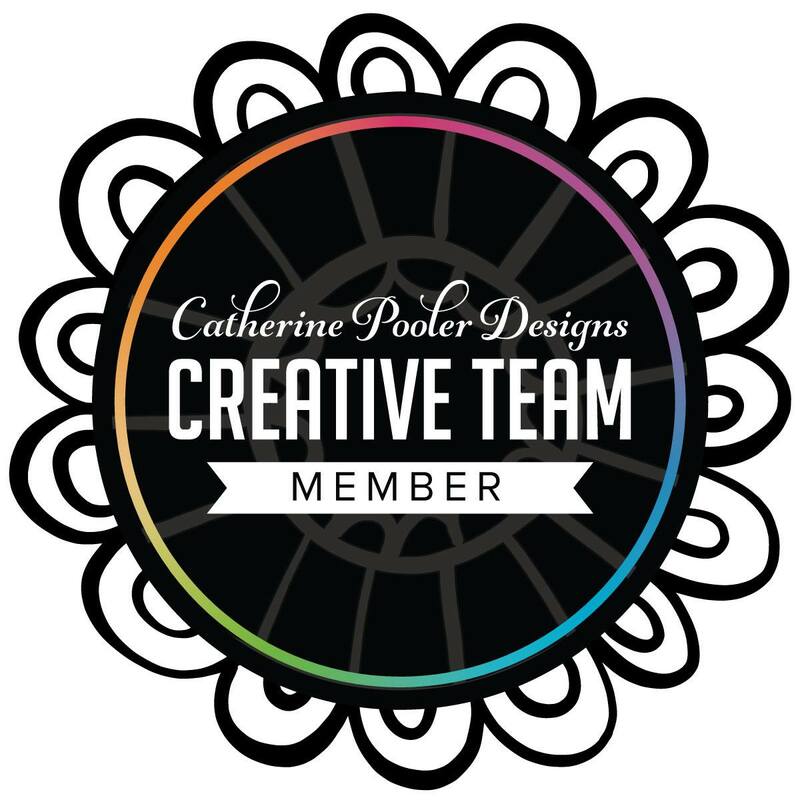 Your use of color is so powerful in your work, just beautiful cards!! Great cards with such beautiful color! Your first card is a stunner! Very inspiring set of cards. Can't wait to try it out. The background stencils are wonderful! Such great cards from everyone with this SOA! I think this is my favorite collection so far! Love the thankful die! Leaves, blooms and bright colors...your cards are inspiring! Absolutely stunning cards. Each one is just beautiful! Thank you, for sharing your beautiful cards and giving us a chance to win a set. WOW - really love your sample cards. Can't really pick my favorite - - each has a special element I adore. Thanks so much for your inspiration! Lovely cards. Like the one with the flowers the best. I have fallen in love with these leaves and I love what you've done with them. Lovely cards - all three of them! Great job of showcasing products from this SOA box. Can't wait to get my hands on it. My favorite of these three is the pink card. I love the "splatters" of color on it. I've just started doing that on my cards and I love the result. Thanks for sharing! Beautiful cards! Love the Autumn color. Your color choices are genius! 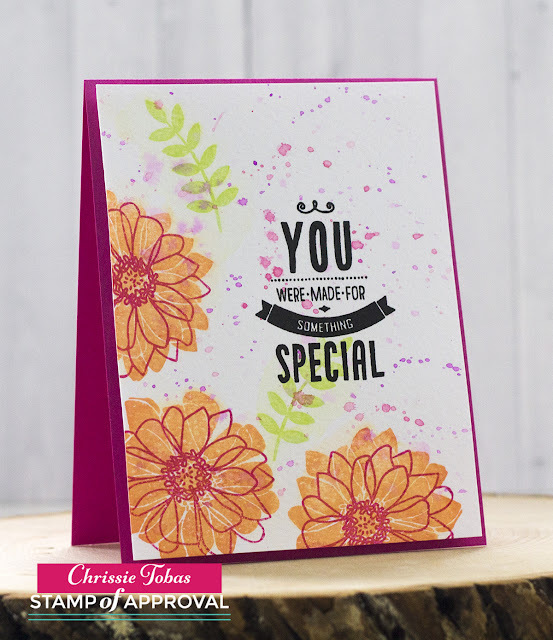 Wonderful cards and inspiration for using this versitle collection! I cannot wait for the slumber party to order mine! Your Autumn cards are making me long for cooler days! Thank you. Gorgeous cards! This is one of the best sets I've seen in a LONG time!! Thanks for sharing! Fall is my favorite!! I absolutely love these cards. I love the beautiful blossoms card. So many options. Thanks for your ideas! I love the colors on the second "special" card! LOVE the ombre look!!! It's a favorite of mine!!!!!!!!! Hard to choose a favorite. Lovely cards! Great cards! I love the colors you have chosen. Beautiful cards. Love the floral one. Great color combinations. I feel I need that leaf stencil asap. oooh! i love bright summery cards! great choices. These are all beautiful! I love the marching leaves stencil! It's so gorgeous! 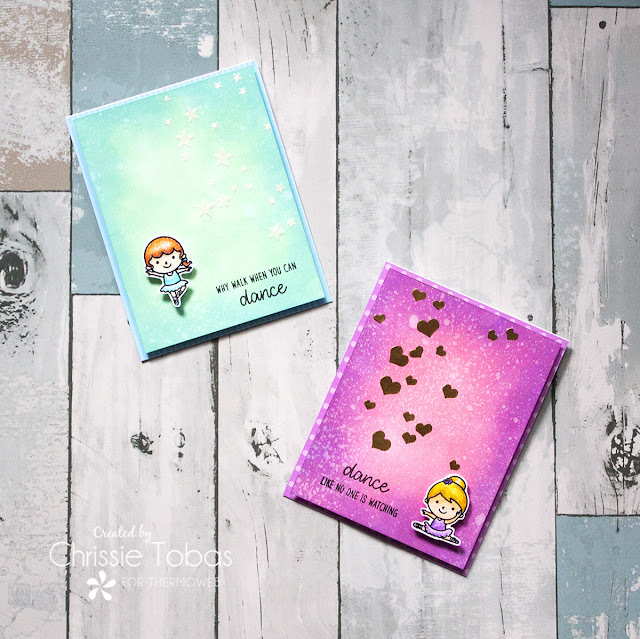 These cards are absolutely beautiful, Chrissie! I love the stencil leaf card! The colors are gorgeous! I can't wait to order this collection! Leaves, leaves glorious leaves and so many ways to use them. Love these cards. Love all the leaves in this kit! All three cards are beautiful but I'm really drawn to the first one. Love the colors & how the words almost float above the card.